Logistics and transport market sectors connect other industries and businesses via land, water, and air paths. Companies involved in these operations provide for on-time accurate delivery of raw materials or ready products, workers, and even information. Without proper logistics, everything can go wrong and lead to huge losses of money, time, and reputation. That’s why a top-notch ERP for transport company is highly desirable. But there are numerous questions related to ERP products. How to create or purchase an application? How to deploy it? What type and vendor is the best one? What are ERP advantages and how they can solve existing logistics issues? Finally, what does ERP actually mean? In this guide, we will try to move through all of these questions and answer them in details. If you want to know more about ERP for logistics, you’re in the right place! Let’s go. High transportation costs. Poor planning, not ideal routes, costly fuel – these problems lead to low profitability of the business. With elaborate management, it’s possible to develop a cost-effective approach to shipping. A lot of data. In the era of big data, you can’t avoid large data packages because they are essential for the team’s growth. Employees have to keep an eye on fleet, staff, cargo, routes, bills, customer interaction, etc. Some of these tasks can be automated. More unique demands. Customers evolve together with businesses. Nowadays, both individuals and entities want to work on a personalized basis with a high level of customization. This point is more critical for MNCs, obviously. Regulatory issues. Traffic laws, parking nuances, and security rules differ from country to country and even from city to city. Surely, it’s important to know that your truck with apples will reach the final point without problems. Now return to the idea of ERP. Modern services are powerful enough to deal with all the listed challenges including financial issues, fleet monitoring, data processing, and so on. The main pitfall here is that not all teams do really need ERP apps. Thus, before ordering the software, ensure that you and stakeholders are aware of the company’s current/upcoming needs, business goals, and the general vision. If an ERP platform suits your strategy, get it! By the way, if you’re interested in accounting processes, be sure to check the guide related to ERP in finance. The simplest question is the most essential for all interested in ERP software. So, what does the ERP term stand for? Firstly, let’s answer this question in terms of all ERP applications regardless of specific tasks. Then, we want to dive deeper into the article topic and look at applications for logistics/transportation brands. ERP as a strategic approach focuses on the integration and optimization of the brand’s internal business activities. ERP as a software tool stores and process vital company’s data to complete the idea of ERP as a business strategic task. Together, these definitions result in the global vision of ERP as products designed for the business optimization in terms of resources and processes. Any company can install an ERP app but not all of the brands will get benefits from this software. Usually, it’s recommended to deploy an ERP system when you feel that business operations are out of your control or the team suffers from entangled processes. Apart from these red flags, enterprise solutions are required for corporations with several departments or branches which need to contact each other regularly. 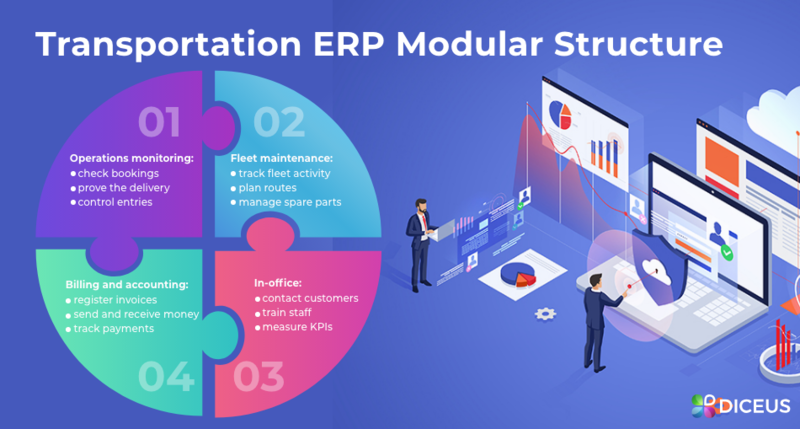 With ERP for transport company, all the parts will be connected through a single platform. Thus, managers benefit from ERP because they can easily track tasks and performance while employees have round-the-clock access to core data. Let’s proceed to another question which doesn’t relate to our topic directly but can help to catch the idea. What’s the main driving force for software development? Moreover, what’s the main stimulus for any supply? Right, it’s all about demand. In 2017-2018, only the UK market faced a significant rise in transportation companies. For example, the number of brands involved in the air transport sector has increased 1.2-1.8 times on average depending on the turnover. 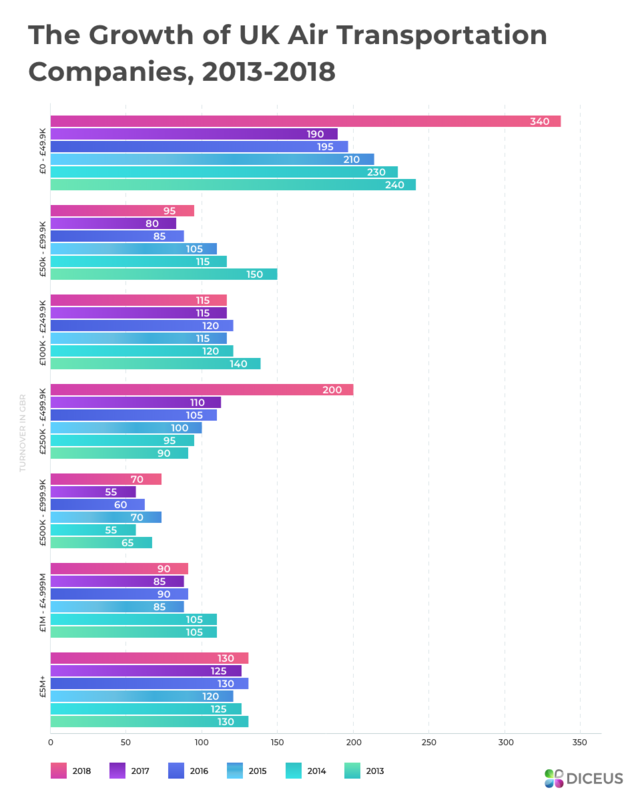 Only the lowest tier of medium businesses hasn’t changed as there are 115 operating teams now. As for the land/pipeline transport industry, there’s an even more interesting facts. The number of small business has decreased greatly from 26,310 to 20,640 between 2017 and 2018. However, all other turnover categories featured slow but persistent growth not only in this timeframe but for the entire 2013-2018 period. ERP saves time and money helping to deliver goods right on time. ERP facilitates cooperation between all links of the supply chain. ERP monitors inventory using barcodes, RFID, and databases. ERP boosts analytics to continue logistics optimization. ERP delivers automation of fleet tracking, tasking, and reporting. ERP reduces errors because employees have less routine tasks. Moving to the main part of the guide, it’s the best moment to look at how ERP solutions are built. Earlier, we’ve explored the overall importance and challenges which you can overcome thanks to ERP apps. But now let’s focus on functional areas. Please, note that vendors can install other modules in different combinations, so always check what’s the structure of your ERP. Being the heart of the system, the operations module focuses on core transport/logistics processes for your firm. Using this set of tools, managers can easily control inventory and resources during the shipment process. Depending on specific features of your SCM, you can add or remove certain tools if you work with custom developers. In ready-made ERP systems, you will have to deal with predefined modules for TMS software logistics. Check bookings, stock, and shipment. Despite the previous module often includes some tools for fleet management, there’s a dedicated system for maintenance of your vehicles. On the one hand, this module helps your managers to optimize fleet composition and quality in the garage. On the other hand, it’s more convenient to track lorries’ movement in real time, agree on schedules and routes, and provide for full support of different transport modes. On a par with direct delivery processes, companies have to remember about accounting and billing. The large finance module handles all money issues including cash exchange between your team and partners, invoicing, salaries, and payments for freight, labor, vehicles, and spare parts. Using a good ERP for transport company, you can develop a cost-effective strategy with accurate money tracking. Send and receive money for anything. Look at the ideas of ERP for banking industry to get the idea of how enterprise products are used for finance management. Last but not least, there’s another large module which includes all in-house stuff. Basically, its tasks can be concluded to wholesome strategy planning which stands for optimization of process flows. Precisely, the office platform is responsible for payroll, reports, dashboards, HR tasks, customer interaction handled by integrated CRM tools, security, performance tracking and improving, and so on. Often, this software is divided into smaller parts. ERP applications are quite expensive as they have to suit various needs of big corporations. From accounting tasks to fleet management, there are dozens of different processes which must be controlled. A modern ERP system should allow managers and employees to work with big data packages in real time. Thus, you should clearly realize the structures and advantages of ERP apps to understand how to plan spending. Now, let’s talk about the pros. Optimized delivery plans. Manage distribution methods by adding or replacing them under one roof. Introduce omnichannel delivery strategies. Streamlined in-office processes. Optimize indirect logistics operations such as dashboards and workflows, payroll, reporting, and purchases. Higher data accuracy. Eliminate manual data control with automated solutions. Core info will be easily accessible anytime and anywhere. Better customer service. Use performance analysis and tracking results to improve KPIs and replace weak links with efficient delivery options. Reduced costs. Thanks to all the previous benefits, helps to lower inventory and delivery costs by implementing just-in-time delivery without downtime. Together, these points lead to increased speed and efficiency of all transportation processes. However, you should remember about costs. Study markets and business goals to understand do you really need an ERP. If the answer is yes, you can coop with our custom development team to get the perfectly tailored product with necessary functions only. The last section we want to dedicate to essential information packed in brief form. Explore these five questions to find answers and conclude the information from this guide. What Does the ERP Abbreviation Mean? It stands for Enterprise Resource Planning and means both business strategy and applications which focus on company processes. As for TMS software logistics, these programs are tailored to the needs of transport companies but their main principles are similar to ERP products from other industries. What Challenges Are Critical for Logistics? Mainly, modern transportation teams face four obstacles including high delivery costs, big data to process, constantly evolving demands of customers, and different regulative requirements. In this case, ERP apps can solve all mentioned issues by facilitating data flow, enhancing customer interactions, and reducing expenses thanks to more elaborate planning. Why Use ERP for Transport Company? Well, the answer is right above. ERP apps can solve all the existing problems in the modern logistics sector. They optimize both on track and in-office operations, help managers to measure performance, prove the identity, facilitate document flow, and, finally, cut costs greatly. With software help, your staff can focus on working with clients, as well. 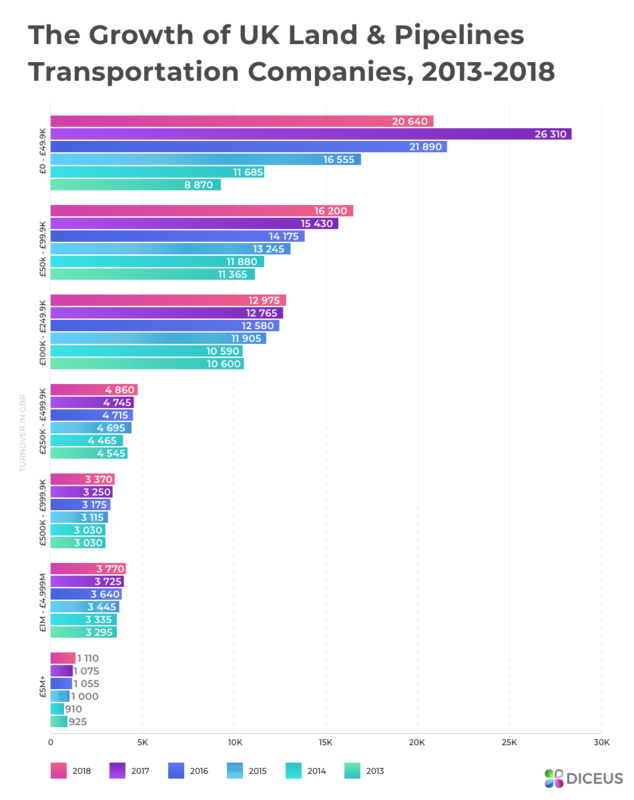 Which Application Type to Deploy? Basically, you have two options. Choosing between prepackaged apps which come with fixed sets of functions and bespoke systems which are created for you exclusively, we’d opt for the latter one. The first option is sometimes good for SMBs which needs are compliant with offers but custom ERP for transport company is wonderful in terms of ROI. How Many Resources Do You Need for the Launch? Before ordering an ERP, plan the budget carefully. You should consider the costs of the software itself, costs of implementation and connection, training and maintenance. Overall, prepackaged solutions range from $4,000 to $500,000 plus extra fees for support or upgrading. Custom apps may exceed even $1 million but they have all possible expenses included in the final price. For a more precise breakdown of prices, check the article about ERP system cost. If you still have questions, feel free to ask our consultants. We’re here to help you to find the best ERP for transport company (most likely, for your own business). Our team handles the entire development process starting with BI analysis and ending with tech support for your team whenever you need it. All consultations are free, to note. Our devs are really smart folks who can create even the most complicated ERP system from scratch packing it with all the modules you really need. And if you don’t know what you need, we also will help!